Our actual Christmas Day was pretty low key - pajamas most of the day, lazy morning, and a casual meal that evening. Exactly what we wanted after a couple of Christmas gatherings that weekend. Saturday afternoon we got together with three other families from our weekly playgroup. The kids all get along great (which is huge considering the number of children!) and we enjoyed some adult conversation while they ran around playing hide and seek. 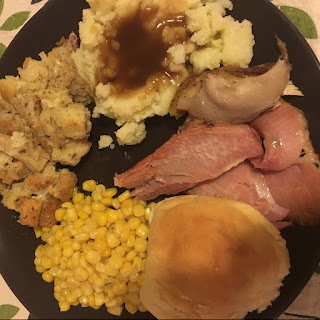 We had an amazing spread of food, including a turkey and a ham, but we were too busy scarfing it down for anyone to think of capture it or the lovely table settings Christine and her family put together for us. Sunday was Christmas Eve day and we headed to a brunch at the Fairmont Hotel with two other families. They had a kids room with entertainment and a kids buffet. Everyone had a lovely time and we enjoyed getting dressed up and not having to cook a big meal! 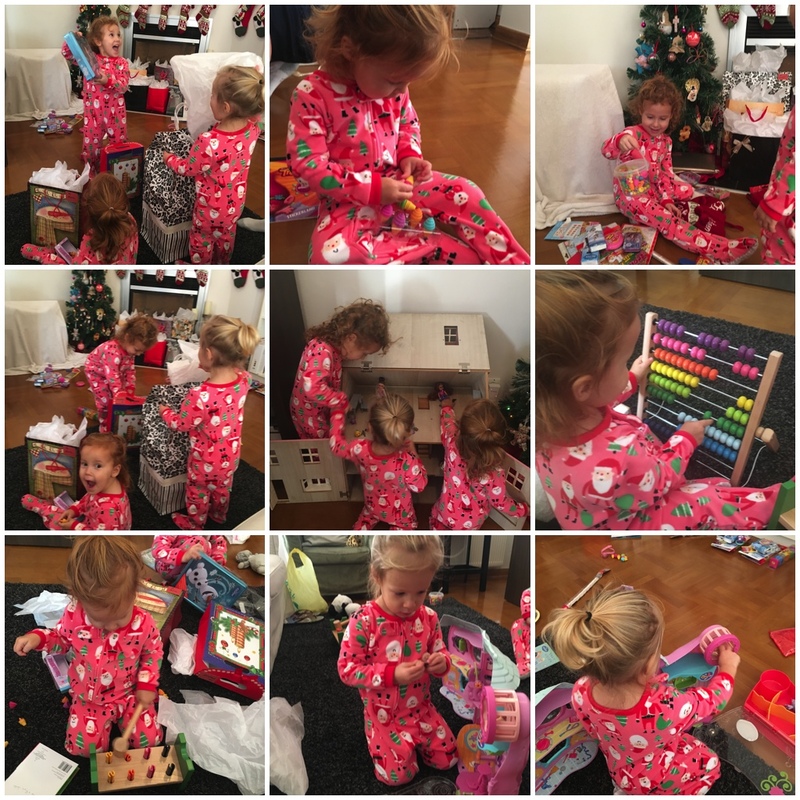 We gave the girls their matching Christmas pajamas from Grandma to wear that night and everyone headed to bed, excited about Christmas morning. We waited until after bedtime to set out the dollhouse and then covered it with a blanket. 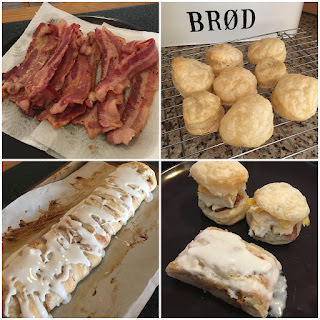 We all enjoyed sleeping in the following morning and let the girls open their stockings before a delicious breakfast of eggs, bacon, biscuits, and pumpkin cream cheese braid. 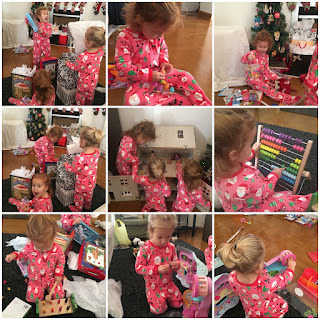 The rest of the day was spent opening presents and enjoying their new toys before having a smaller Christmas meal together. We feel blessed that we got to spend our Christmas holiday with a balance of friends and relaxing, but of course missed all of our family back in the US!